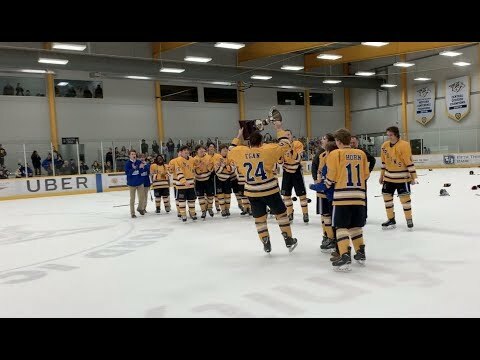 Last season, Brentwood and MBA battled in a hard-fought, best-of-three series for the Preds Cup. The Bruins hoisted the Cup at the end of it all, however, it was clear this had become the “it” rivalry in high school hockey. Fast forward to the beginning of the 2018 GNASH season, and MBA got its revenge on Brentwood, hammering the Bruins 6-0 at Centennial Sportsplex on Monday. MBA jumped out to an early 2-0 in the first period on goals from Will Morrsion – assisted by Tyler Laub – and captain Matthew Haley – assisted by Morrison. From there, Brentwood never recovered. MBA extended its lead to 3-0 on a Ben Lindsey goal in the second period before adding on three more goals in the third period. Brennan Roach netted two of those goals with Laub recording the other. Five MBA players recorded multi-point nights with Laub (2), Morrison (2), Haley (2), Lindesy (2) and William Myers all contributing assists. Jack Moschel got the start in goal, stopping all 18 shots he faced. 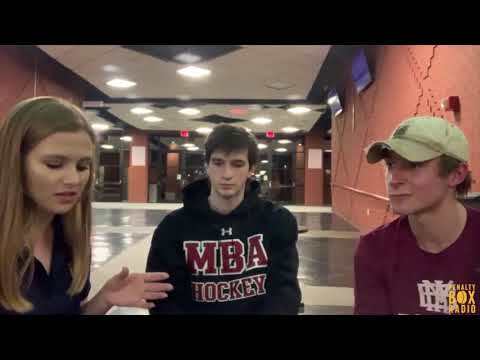 MBA is in a three-way tie for first place in the GNASH standings with a 2-0-0 record and four points, while Brentwood is in a seven-way tie for second with a 1-1-0 record and two points. Both return to the ice next week; MBA on Monday against USN/DCA/MLK at 7 p.m. and Brentwood on Wednesday against Centennial/Page at 7:10 p.m. Both games are at Centennial Sportsplex.